How many companies would want to master branding in 60 seconds? Too many I’m afraid, independent of how unrealistic that is. But there is hope in this week’s One Minute Wednesday. 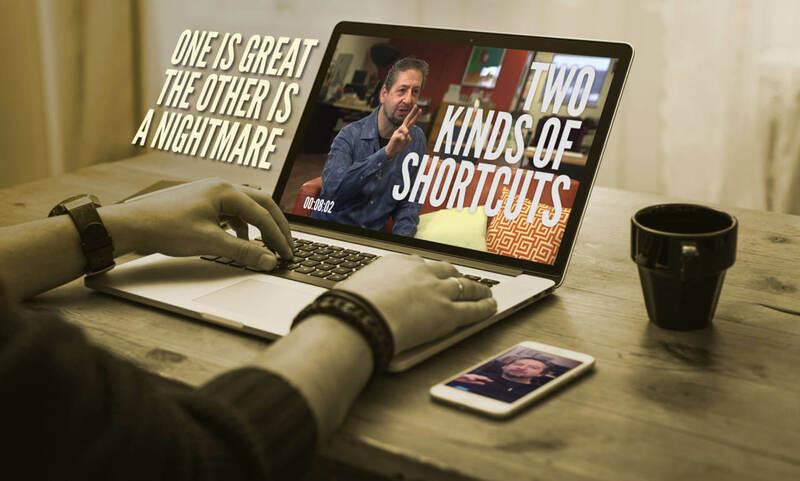 There are two types of shortcuts. One leads to success and growth. The other leads to contraction. That approach never wins in the long-term. It might result in a short “spike” in sales or some other “metric” but it will always ultimately fail. This type of shortcut is LAZY. The other shortcut, which is the only legitimate one, is about efficiency. Doing things smarter. Doing things in a more streamlined manner with NO compromise in quality, and ideally an increase in quality. This type of shortcut is brilliant. Genius in fact. How does one achieve that type of shortcutting? Insight. Listening. Watching. If you haven’t subscribed yet, start today and you can look forward to this one-minute injection of branding smarts every Wednesday.